I LIKE IT FOR EASY PRE SETTING FOR FINDIND AND LOCATE PLACE FOR SETTING YOUR TENT. 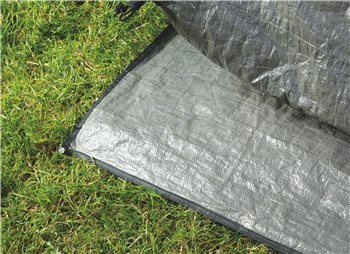 KEEP YOUR TENT CLEAN FROM THE GROUND. IT COMES WITH NO BAG BUT WITH PEGS. It's a pretty basic product, but does make packing up the tent easier - less cleaning, drying time, etc. I think it's a bit overpriced for what it is, but hopefully it will help extend the life of my tent and prove its value in the long term.